When you are planning your wedding it is important to consider hiring makeup artist to ensure that everyone look great during your wedding. When you start looking for the best makeup artists, you will come across a lot of them in the market who will claim to offer the best make up services during your wedding. Most of them have the right qualifications and experience in this industry, so you can expect to benefit a lot from the makeup services they provide to you. Here are some other reasons why you need to hire Asian wedding makeup artists. It is good to note that during your wedding, you will be very busy because there are many other things that you need to plan and ensure they move as planned. This means that you might not have all the time to make sure that the make ups are done in the right way. However, you will reduce all the burden on your shoulders by hiring Asian wedding makeup artists who will take care of the process. They will meet you before the wedding day to perform trial run of the makeup look. In overall, you will have easy time because you know that you have professionals to take care of your makeup needs. Most of the makeup artists have been in this industry for a very long time. They have the ability to select the best colours, foundation, eyeliner and other things that will match the specific needs in your wedding. They can select the features that will match your unique features and character. This means that they will offer you high quality make up services that will suit the theme of your wedding. Planning an Asian wedding is not as easy as you might think because it requires a lot of time and skills in order to have a successful wedding. This is why it is important to start planning for the wedding many months before the specific date set for the wedding. In order for a wedding to be a success, there are some things that must be there. 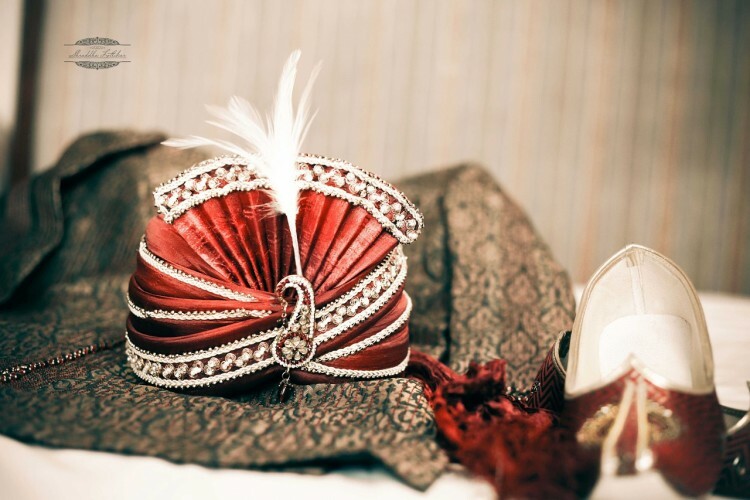 This article provides you with some of the Asian wedding must haves. Just as mentioned above planning a wedding is a process that requires skills and time for it to be a success. Due to the many things involved in a wedding, you need to have a planner who works as full time helping clients plan their wedding. With a wedding planner you can be assured that everything will be catered on well. This will go a long way in helping you reduce a lot of stress because you will know that everything is under control and management of a professional. It is good to have an emergency kit because accidents or minor health problems might happen during the wedding, meaning that instant medical attention will be required. Some of the things that are required include painkillers, small and big safety pins, and others that can assist in case of an emergency. In addition, make sure that there is someone who can offer first aid in case of such emergencies. Your guests and family members are very important in any wedding. It is a must that you have a list of all the guests you have invited so that they can be given the special attention that they deserve during the wedding. This is the same case with all your close family members. By having a list of all of them, it will be easier even to organize for photography sessions without wasting a lot of time. It is also important that you have a list of significant others too, so that they do not feel they are left out. In addition to having money that you have budgeted for your budget, it is always important that you have cash money with you during the wedding. This is necessary because there are some issues that require money that might arise in the process. In addition, the cash you have can help in tipping your hair dressers, makeup artists and others for their good work. During your wedding, you need to ensure that photos are taken well. Photographs are very important in any wedding because they help remind you about your big day in the future. So it is crucial to ensure that you get high quality wedding photographs that will act as a memory of your wedding. To ensure that you have a highly successful wedding photography there are certain mistakes that you need to avoid during the process. This article offers you some of the Asian wedding photography mistakes you need to avoid in order to make your wedding a memorable one. One of the greatest mistakes that you can make is to work with inexperienced photographers. With inexperienced wedding photographers it means that you will get low quality photographs that will not capture some of the most important episodes in your wedding. In addition, it also means that they might not be able to use some of the most current and advanced photography equipment. Therefore, you end up getting disappointed at the end of your wedding. To avoid this mistake it is good that you ensure that you check the qualifications and experience the different photographers have before you can enter into any agreement with them. In addition, you must check the wedding photographs they have taken before to ensure that they meet your required standards. From experience, we highly recommend the services of one of the most renowned Asian wedding photographers in London. They also provide Indian, Hindu, and Sikh wedding cinematography, pre wedding shoots, portrait photography, and a host of other services. You can visit their website for more details. One of the most important aspects in any wedding is the white dress of the bride. A good photographer should be able to expose the bride’s dress in the most effective way so that it appears real. It is a great mistake to underexpose the dress because it makes it look grey and grubby. This will make your wedding photos look dull and unattractive. Good wedding photography should make use of exposure that produces images that are detailed throughout the tonal range. This is why you need photographers with digital cameras because it is possible to check the exposure immediately after a shot has been taken and make the right adjustment. In order to have a perfect wedding, it is necessary to ensure that your hair and that of your bridesmaids look perfect. It is good to note that during your wedding there are many things that people look for. The way your hair is styled will determine the overall look and how memorable your wedding will be. This is why it is important to ensure that you only work with the best wedding hair dressers in order to get the best results. 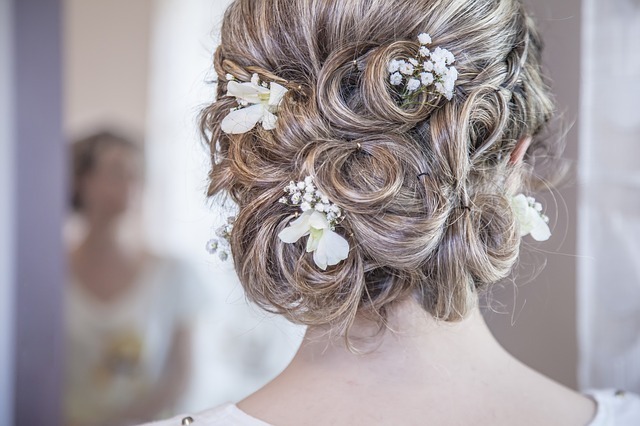 There are many wedding hair dressers to choose from as a result of their high demand, so you should not worry because you can be assured to get them. However, in order to ensure that you get highly satisfactory services, you must choose the best. Here is a comprehensive guideline on how to select the best wedding hair dressers. In order to ensure that you will get the best hair dressing services, it is important to check at the photos of people who your potential hair dresser has worked on. It is by looking at the photos that you will be able to make a more informed decision as to whether they can offer you services that will meet all your wedding needs. If you find a hair dresser who is not willing to show you their past work, you must avoid them because they might be hiding something from you.